Let’s face it. As sublime as the writings of J.R.R. Tolkien can be, were it not for the bombastic imagination of Peter Jackson, fewer people would have encountered the Professor’s world of Middle-earth. 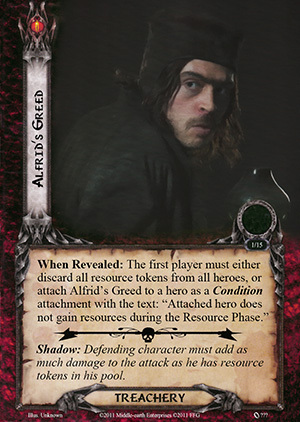 The Lord of the Rings would probably not have been as attractive a license to FFG. The community surrounding our favorite living card game might not be as robust, diverse, and engaged as that we enjoy. Indeed, without Jackson, Tolkien’s great story and powerful themes would not have reached nearly as many people in our generation. Therefore, as the final film of “the Middle-earth saga” projects its megapixels upon the world, I don’t think it’s hyperbolic to suggest that we’ve reached the apex of an era. Popular awareness of Tolkien’s world is at a peak. Certainly the legacy of Tolkien’s literature will endure beyond that of Jackson’s films, but the knighted Kiwi director has brought that greater work to life for the masses in a visual interpretation that may prove definitive for our time. 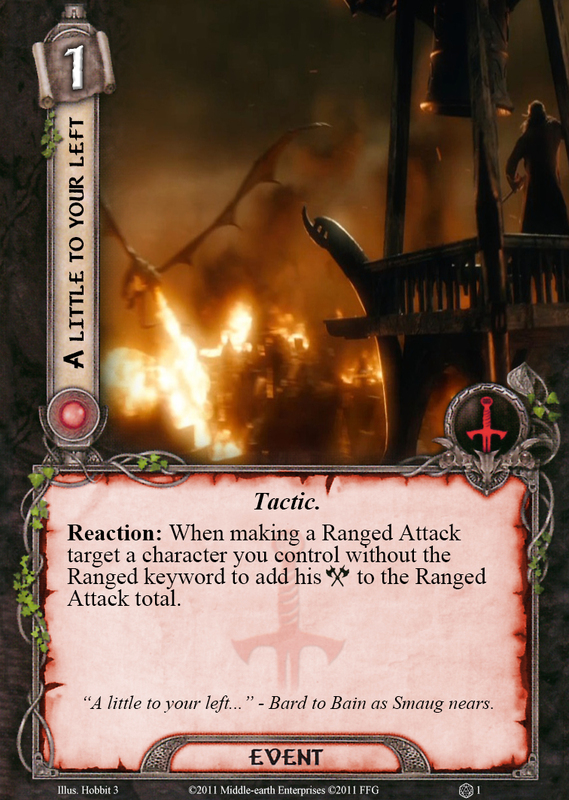 Like our card game, Jackson’s adaptation creates some moments that perfectly capture the flavor of Tolkien’s work, as well as some that frustrate and disappoint. Hit or miss, however, I continue to enjoy both for opening the door for a deeper exploration of the stories of hope and providence that inspired them. My review of Jackson’s final film is written in that spirit. Before I begin then, I want to say that beyond my simple liking or disliking of anything in this movie, I am unequivocally grateful to Peter Jackson and his team for making The Hobbit trilogy such an excellent gateway to that journey. Thank you, sir! As I said in my review of The Desolation of Smaug, I am fascinated at how Jackson has combined elements of The Hobbit, The Return of the King appendices, and his own sensibilities to adapt Bilbo’s adventures with Thorin’s Company as a proper prequel to The Lord of the Rings. Those who have criticized him for outright ignoring the books have not been paying proper attention. Far from ignoring Tolkien’s work, he is continuing one of the Professor’s abandoned projects — revising The Hobbit to match the tone, style, and plot of The Lord of the Rings. It is a legitimate question to ask whether such an effort is wise (for Tolkien then or Jackson now) but as the Tolkien Professor Corey Olson argues in his review of the film, by going this direction Jackson has actually adhered to the books more closely in this trilogy than he did in the first! Let’s take a look at some of his choices a little more closely. 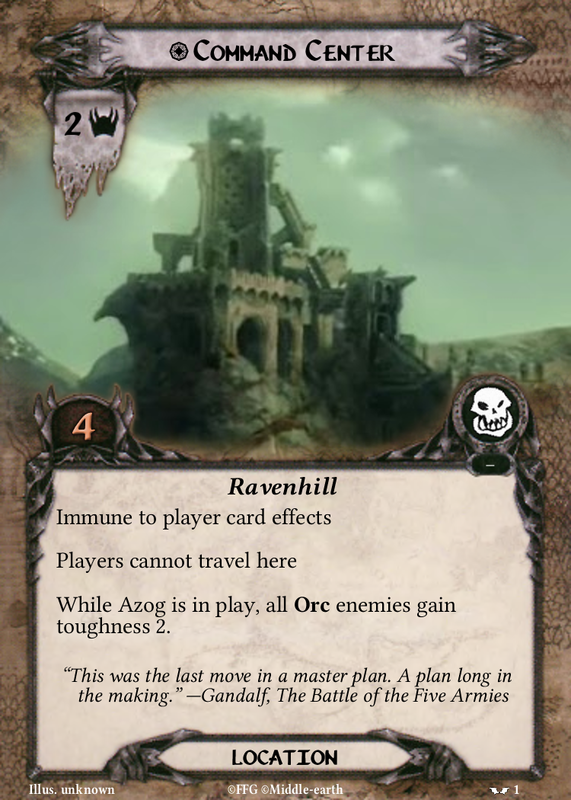 As we do, please enjoy the winning entries of my custom card contest made by readers of my blog! Howard Shore’s ominous Smaug theme builds through the opening titles leading us directly into the vengeance of the “last great fire-drake of the North” on Esgaroth. This is arguably the best sequence in the entire film. Jackson’s team has developed the sparsely drawn yet coolly evocative “grim-voiced and grim-faced” Bard the bowman of the book into a principled single parent. The choice pays off in a big way. With a shriek that deafened men, felled trees and split stone, Smaug shot spouting into the air, turned over and crashed down from on high in ruin. Full on the town he fell… There was a hiss, a gushing whirl, and then silence. And that was the end of Smaug and Esgaroth, but not of Bard. Then [Bard] strode off to help in the ordering of the camps and in the care of the sick and wounded. But the Master scowled at his back as he went, and remained sitting on the ground. He thought much but said little, unless it was to call loudly for men to bring him fire and food. Presumably one of the Master’s nameless “councillors” alluded to in Chapter 10 “A Warm Welcome”, Alfrid and his antics are one of the more challenging aspects of the third film for me to review. On the positive side, it should be noted that names were of primary importance to Tolkien and Alfrid is a good one. It is derived from Old English and means “elf counsel” which is a fitting irony for his role as an advisor in the film. 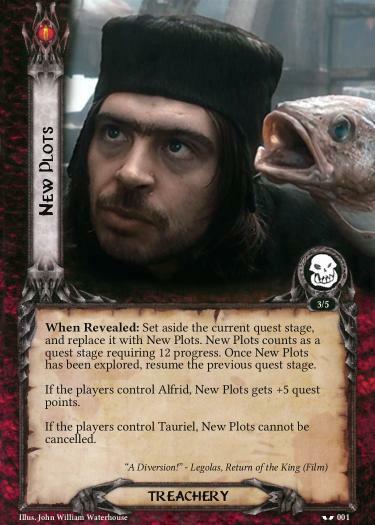 Furthermore, Alfrid’s character is a great foil for Bard, showing the heir of Girion to be an admirably magnanimous leader. Bard’s repeated pardons of Alfrid echo the themes of pity and mercy that are central to Tolkien’s work. As Gandalf would later say regarding Bilbo’s pity of a similarly despicable creature: “Many that live deserve death. And some that die deserve life. Can you give it to them? Then do not be too eager to deal out death in judgment.” The relationship between Bard and Alfrid brings this deep message to the surface. Unfortunately, it does not do so elegantly. 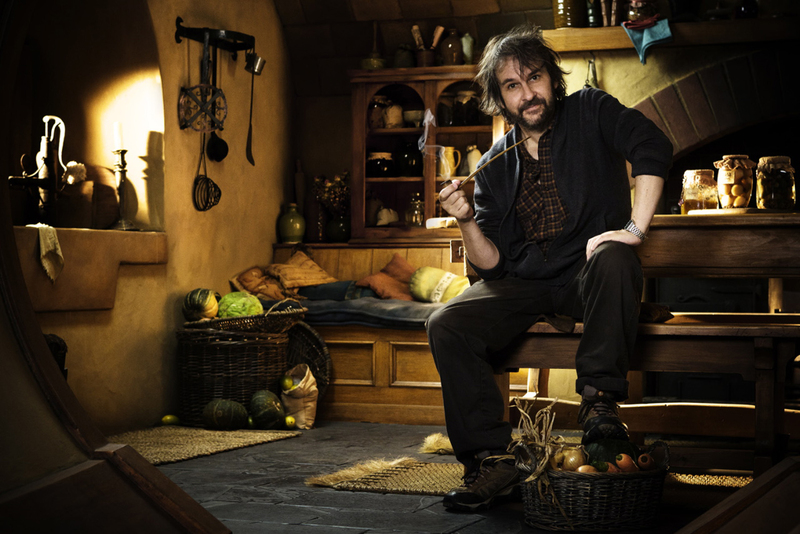 Alfrid pushes the line between character and caricature, and while some “comic relief” is perhaps necessary in a dreary, gray war picture, the shtick runs thin quickly. Moreover, like so much that does not work in this film, subtlety and understatement become a lost art. By the time we see a bawdy Alfrid dressed in drag, heaving bosoms stuffed with gold coins, the tone of his performance has become wholly misaligned with Jackson’s finer moments in The Hobbit and more fitting to his previous work on Bad Taste. In late summer of that same year (2941) Gandalf had at last prevailed upon Saruman and the White Council to attack Dol Guldur, and Sauron retreated and went to Mordor, there to be secure, as he thought, from all his enemies. We learn in Unfinished Tales excerpts from the “History of Galadriel and Celeborn” that in one version of her history, Galadriel initially journeys to Lórien because she “became filled with foreboding” and is “especially concerned to learn all news and rumours of the growing shadow in Mirkwood and the dark stronghold in Dol Guldur”. When the Golden Wood becomes her kingdom, the highest flet on the great mound of Cerin Amroth is “designed principally to watch Dol Guldur across the Anduin”. Film Galadriel’s premonitions of Sauron’s return are in keeping with this tale. 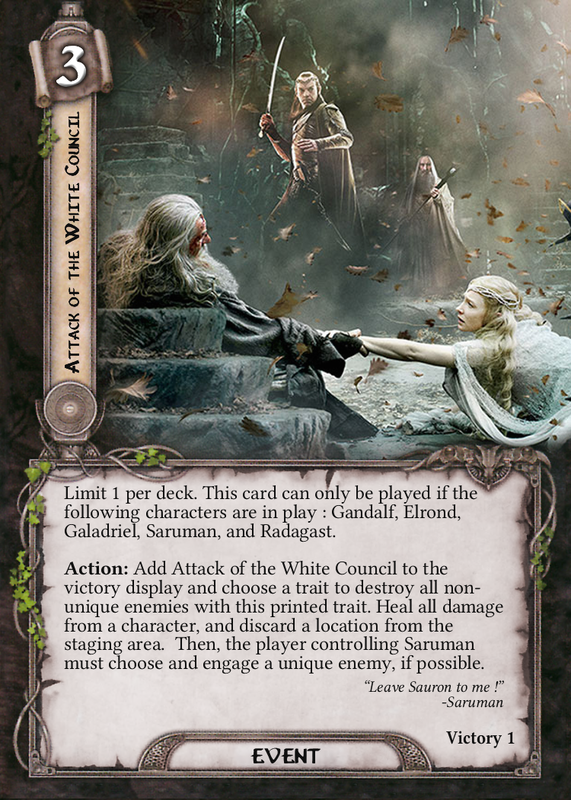 It is entirely appropriate then that the White Lady should lead the Council in expelling the Necromancer by being the first to enter his haunt on Amon Lanc in Gandalf’s rescue scene. As ever, she looks absolutely gorgeous in her entrance. What is not appropriate though is Galadriel’s dark transfiguration in her confrontation with Sauron. My issue here is not actually with any betrayal of the lore, as the scant descriptions from Tolkien leave the door open for any manner of depiction for the battle (this includes, I suppose, the Shadow of Mordor type hacking and slashing that precedes Galadriel’s intervention). The problem is that Jackson uses the same effects to portray Galadriel’s good manifestation of her power in this film as he did to show an evil manifestation of her power in Fellowship, thereby confusing the meaning of both scenes. Imagine instead if rather than turning into the same creepy Witch-queen we saw in Fellowship, Galadriel here rose up in perfect luminosity, more bright and beautiful than we’d ever seen her before. Not only would audiences get something new from the character in the archetypal mode of light versus dark, the later Fellowship scene would be all the stronger when we see a vision of her awesome beauty corrupted. As it stands, we have the same scene twice, but with opposing contexts that weaken both. Add into the equation a doubling down on the epilepsy-inducing Eye of Sauron flicker-fest from The Desolation of Smaug and it’s a combination of two unoriginal effects that resolves into nothing but noise and nonsense. Is this Khamûl, Shadow of the East? All that criticism is not to say I can’t find anything to enjoy here. The art design continues to be first rate and seeing the Nine arrayed in their kingly attire was certainly a treat. One even seems to be wearing armor modeled on a medieval Japanese samurai. 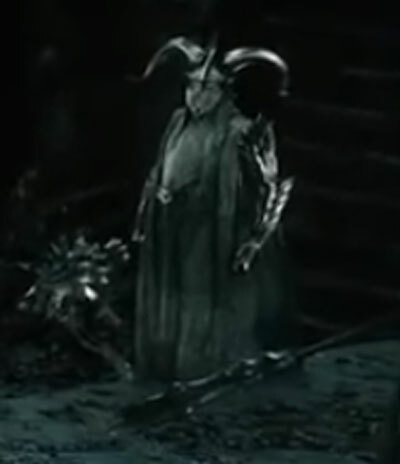 Could this be the Nazgûl named in Unfinished Tales as Khamûl, the Shadow of the East, “second to the Chief” who “abode in Dol Guldur as Sauron’s lieutenant”? I’ll leave that to my co-author Derek (who wrote a feature article on the character) to determine! One last positive word on the assault on Dol Guldur is that I found Saruman’s participation to be neatly constructed. 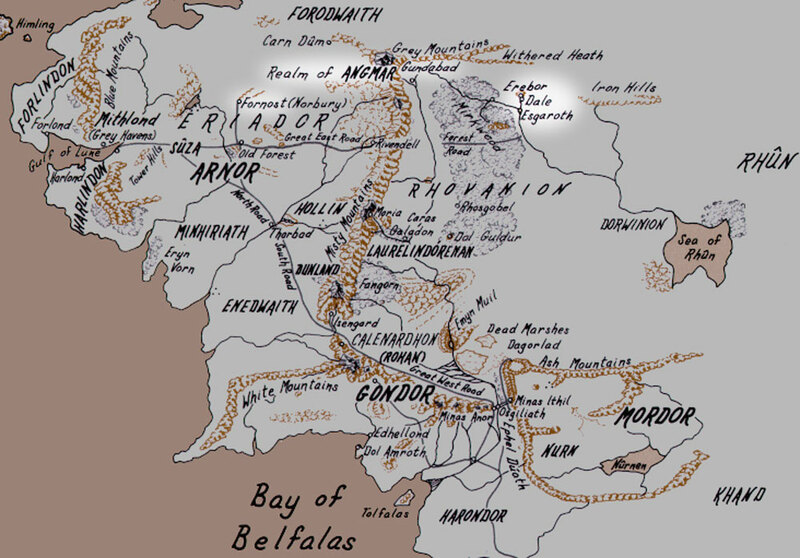 In the “The Hunt for the Ring” of Unfinished Tales, we get a footnote stating that it is when Gandalf first urges the attack on Dol Guldur in 2851 that Saruman begins “to desire to possess the One Ring for himself, and hoped that it might reveal itself, seeking its master, if Sauron were let be for a time.” While I could have done without his geriatric acrobatics, seeing the White Wizard telling the Council, “Leave Sauron to me!” expertly discloses his dark desire while keeping the secret of his betrayal from Gandalf (and future fans) until the events of The Fellowship of the Ring. Kudos to 92 year old film legend Christopher Lee for nailing his final line of dialogue in the saga. Before moving on, my final gripes with the Dol Guldur scene have nothing to do with what was portrayed on screen, but with what was left out. These storylines are not from Tolkien’s lore, but Jackson’s team spent time creating them in the previous Hobbit installments only to let them unceremoniously drop. First of all, what happened to that “Morgul blade” that Radagast delivered to Gandalf as proof of the Necromancer’s true identity in An Unexpected Journey? Gandalf dramatically presented it as evidence to the White Council in Rivendell and Galadriel recognized it as the weapon of the Witch-king of Angmar. In the commentary, Jackson said it is the same blade that will later stab Frodo on Weathertop. How did it get back into the hands of the Witch-king? Where did this Morgul blade go? Secondly, what about Gandalf’s staff? Astute fans noticed that Radagast’s staff in An Unexpected Journey was actually the one carried by Gandalf in the Lord of the Rings films. Much was made of the scene in Desolation when Gandalf’s staff was disintegrated by the feverish flashing flames of Sauron’s Eye. After his rescue, how does Gandalf come to take Radagast’s staff as his own? Does Radagast just give it up? Is that why we no longer see him as a wizard in the Lord of the Rings films? Do they even exchange words over it? I suppose it is true to the books that Radagast is simply absent from the plot without a second thought or mention and an Extended Edition is on the way to fill in some gaps. But if Jackson has taken theatrical time to build up a character arc or story line, I think it warrants theatrical time to be resolved. As the Tolkien Professor said in his review of The Battle of the Five Armies, in many places the problem isn’t that Jackson has paid too little attention to Tolkien’s story. It’s that he has paid too little attention to his own! Look closely at the wizard staffs. When did Radagast give his up to Gandalf? This same problem is at play under the mountain. In Desolation, Jackson wisely revised the significance and function of the Arkenstone. In the novel it is simply the “fairest of all” the treasure, a “great white gem which the dwarves had found beneath the roots of the mountain”. In the films, burgling the Arkenstone is elevated to being the primary objective of the entire quest. 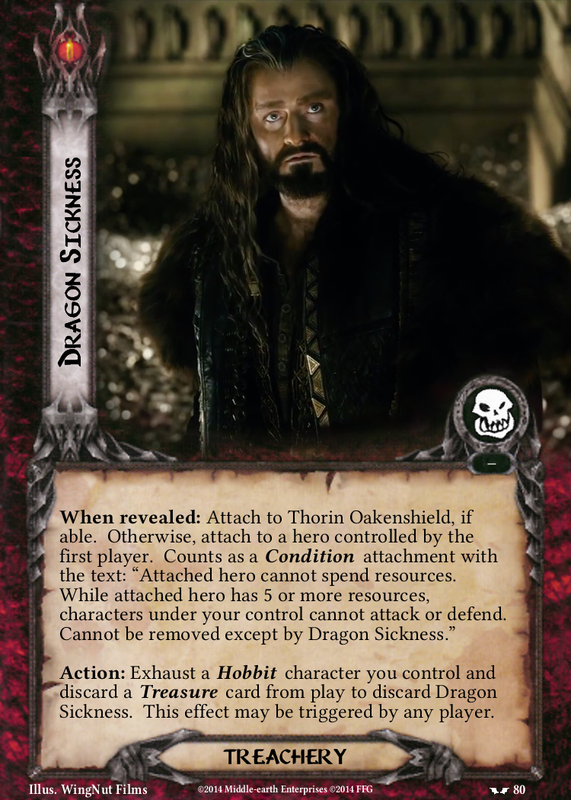 Thorin knows he cannot defeat the dragon and so he needs the “king’s jewel” to summon Dáin Ironfoot and his other kin to marshal an army able to “take back Erebor”. Without bearing the Arkenstone, Thorin cannot count on help from Dáin. After getting this build-up, however, the Arkenstone in Jackson’s Battle reverts to its simple function in Tolkien’s book. 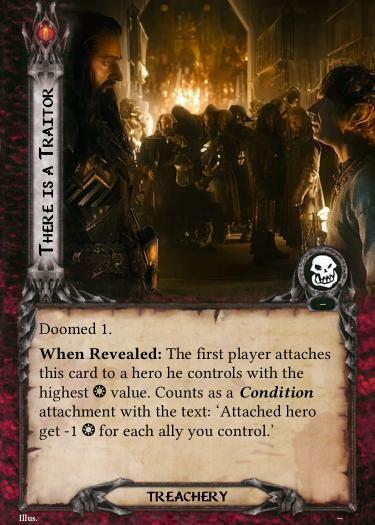 It is no more than Thorin’s main prize in the hoard. As Tolkien writes, Thorin “hunt[s] chiefly” for it, names it unto himself, and swears that he “will be avenged on anyone who finds it and withholds it”. Yet when Dáin shows up in the film, it is for the same reason as in the book. He has heard news through the ravens. 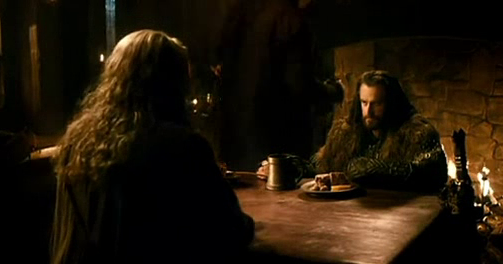 Thorin has not presented any Arkenstone as persuasion. Why did film Dáin change his mind and come? 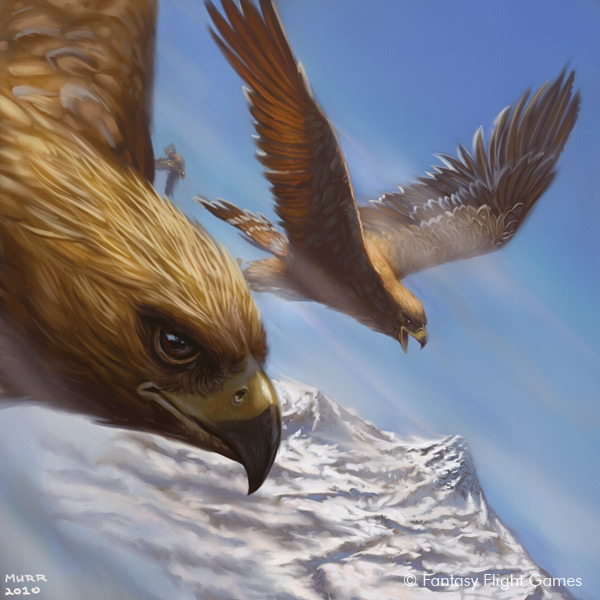 While I was thrilled to see old Roäc, Tolkien’s “aged raven of great size”, flying to and from the gate of the Lonely Mountain bearing tidings, I would have liked to see Jackson follow up on the Arkenstone of “divine right” that he embellished rather than reducing it back to just “the heart of Thorin” and Bilbo’s “fourteenth share”. 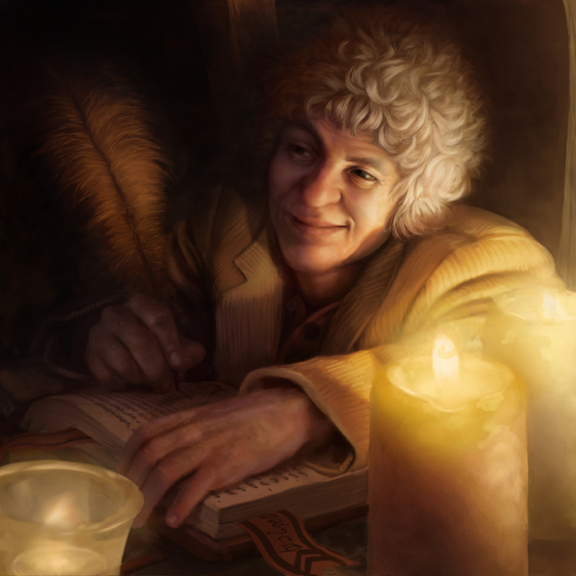 But [Bilbo] did not reckon with the power that gold has upon which a dragon has long brooded, nor with dwarvish hearts. Long hours in the past days Thorin had spent in the treasury, and the lust of it was heavy upon him. It will not keep you on your road, nor defend you against any peril; but if you keep it and see your home again at last, then perhaps it may reward you.… There will be few gardens in Middle-earth that bloom like your garden, if you sprinkle this earth there. Then you may remember Galadriel, and catch a glimpse far off of Lórien, that you have seen only in our winter. As Thorin descends into madness, everything about the film’s parley scenes at the gate plays quite well to theme and character. Many of the best lines are borrowed directly from Tolkien’s text. My favorite is the combination of Thorin’s curses from the novel (“miserable hobbit” and “descendent of rats”) hurled against Bilbo as the corrupted king calls him a “miserable rat” and threatens to throw him from the ramparts. Also included is Gandalf’s rebuke, “You are not making a very splendid figure as King under the Mountain.” There’s the art of understatement that I’ve been looking for! One change (which works) is that Jackson makes Bard the more level-headed negotiator, while Thranduil the Elvenking lusts after the “White Gems of Lasgalen”. This treasure, another Jackson revision that I appreciate, not only has some basis in the text of The Hobbit but also resonates thematically with an artifact of the First Age. In the book, the treasure hoard of Smaug is said to contain “the necklace of Girion, Lord of Dale, made of five hundred emeralds green as grass, which he gave for the arming of his son in a coat of dwarf-linked rings”. After the battle, Dáin (who proves “more reasonable” than Thorin, as Gandalf says in the film) settles with the Elvenking by “restor[ing]” to him this necklace. In this passage the emeralds of Girion are called “such jewels as he most loved”. Why the Elvenking most treasures the Lord of Dale’s necklace and how he had some claim on it that is “restored” by Dáin is never explained by Tolkien. Frankly, Jackson’s version makes more sense. His change also brings this storyline into resonance with a pivotal episode from The Silmarillion that was written long before The Hobbit and doubtless inspired the Elvenking’s love of a jeweled necklace. 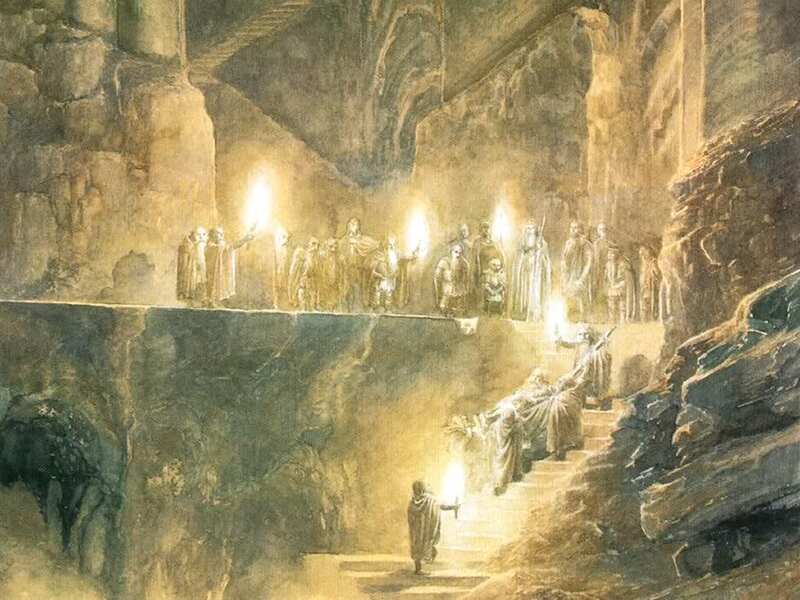 Unnamed in Tolkien’s novel, the Elvenking and his caverned halls are clear parallels to King Thingol in Menegroth from the First Age legendarium. 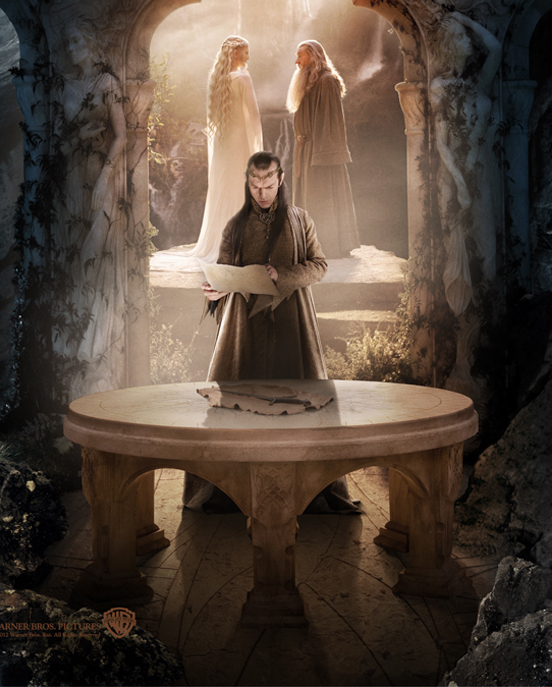 Thranduil’s focus on the White Gems of Lasgalen reflects Thingol’s obsession with the famously beautiful Nauglamír. And just as Thingol’s possessive desire for that necklace led to destructive conflict with Dwarves in his tale, so here Thranduil’s yearning for the jeweled treasure precipitates his participation in the battle for the Mountain. Thranduil reaches for the White Gems of Lasgalen in an Extended Edition scene from An Unexpected Journey. This desire for singular possession of created works is what lies at the heart of enmity and evil in Tolkien’s works, from the rivalry between Elves and Dwarves all the way up to the original rebellion of Morgoth against Ilúvatar. It is the desire that nearly stopped The Hobbit films from being made and all but guarantees that a Silmarillion adaptation will never happen. When ownership trumps craftsmanship (in Tolkien’s world and our own) there is tragedy and loss. To be honest, I would have enjoyed seeing that theme explored even more, and further development of the “White Gems of Lasgalen” would have been a great way to do it! The other interesting plot point tied to the White Gems, is the implication that these are an heirloom of Thranduil’s house that belonged to his lost wife. There is no mention of Thranduil’s wife or Legolas’s mother anywhere in Tolkien, yet this is another Jackson invention that does conjure up some really obscure lore. 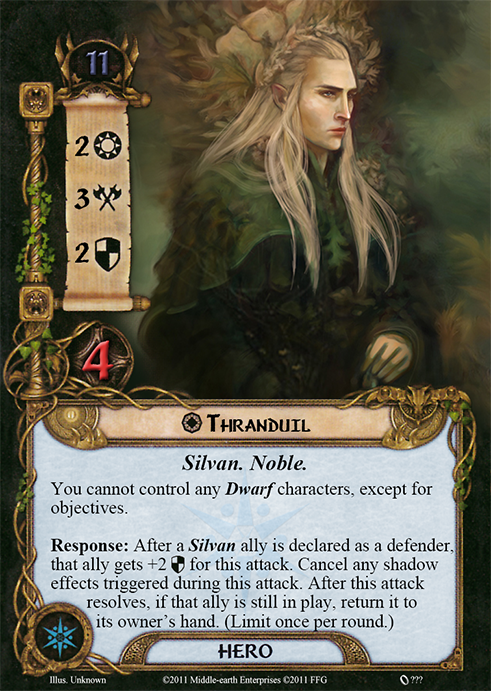 The Professor actually wrote very little about Thranduil, but the idea that his isolationist tendencies are a reactionary policy to the painful loss of family in a previous battle with the Enemy can be supported. In Unfinished Tales, we learn that Thranduil’s father Oropher is “slain in the first assault upon Mordor” in the Last Alliance of Elves and Men at the Battle of the Dagorlad. Far from being unwilling to battle the encroaching shadow, Oropher dies “rushing forward at the head of his most doughty warriors before Gil-galad had given the signal for the advance.” After the battle, his son Thranduil returns home with “barely a third of the army that had marched to war”, presumably devastated by the loss. In an essay called “The Sindarin Princes of the Silvan Elves”, Tolkien wrote these words about Thranduil after he establishes his kingdom in Greenwood. They could apply to the character arc of Jackson’s Elvenking turning outward rather than inward to overcome his pain. But there was in Thranduil’s heart a still deeper shadow. He had seen the horror of Mordor and could not forget it. If ever he looked south its memory dimmed the light of the Sun, and though he knew that it was now broken and deserted and under the vigilance of Kings of Men, fear spoke in his heart that it was not conquered for ever: it would rise again. Of course, besides the fact that Jackson’s Thranduil has lost his wife rather than his father, the “horror” that haunts Thranduil in the film was encountered at Angmar rather than Mordor. In the film, Legolas rides over 300 miles on horseback from Erebor to Gundabad in order to deliver some exposition to Tauriel while an army of bats flies overhead. While this segment is a bit of a head-scratcher in terms of timeline and geography, the basics of Legolas’s history lesson are derived from the “Tale of Years” in the Appendices of The Lord of the Rings. Derek has covered this in more detail in his feature article on Beravor, but in short, Angmar was an evil realm established by the Witch-king in 1300 T.A. (over 1500 years before the events of The Hobbit) with its capital at Fornost. 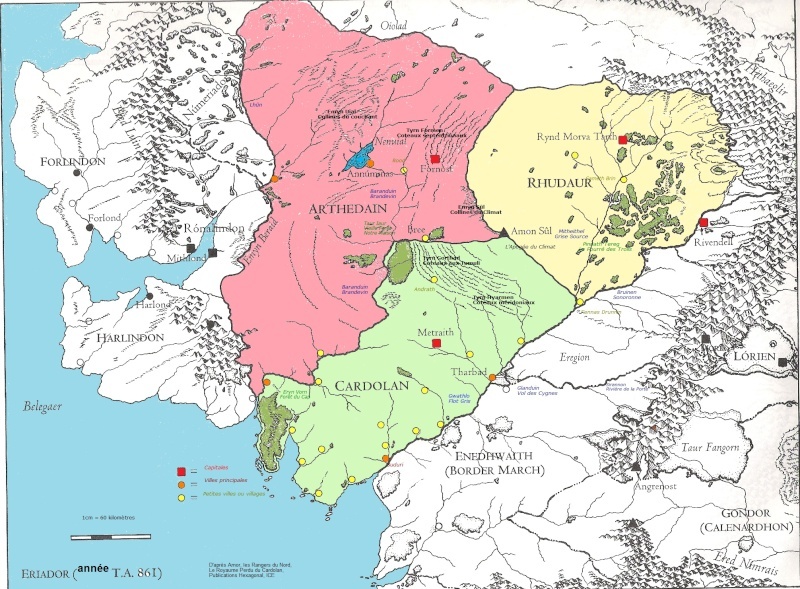 Over the next 475 years, Angmar expanded to destroy the northern kingdoms of Men, leaving behind nothing but the haunted graves of their princes (the Barrow-downs) and a forgotten remnant of their line (the Rangers of the North). Among many cares [Gandalf] was troubled in mind by the perilous state of the North; because he knew that Sauron was plotting war, and intended, as soon as he felt strong enough, to attack Rivendell. But to resist any attempt from the East to regain the lands of Angmar and the northern passes of the mountains there were now only the Dwarves of the Iron Hills. And beyond them lay the desolation of the Dragon. The Dragon Sauron might use with terrible effect. How then could the end of Smaug be achieved? It is just as Gandalf asks himself this question that Thorin walks in the door, as if “bidden to seek [him]”. In Tolkien’s revisioning of The Hobbit, it is this “chance-meeting” that sets the quest of Erebor in motion. Yet things might have gone far otherwise and far worse. When you think of the great Battle of the Pelennor, do not forget the battles in Dale and the valour of Durin’s Folk. Think of what might have been. Dragon-fire and savage swords in Eriador, night in Rivendell. There might be no Queen in Gondor. We might hope to return from victory here only to ruin and ash. But that has been averted — because I met Thorin Oakenshield one evening on the edge of spring in Bree. A chance-meeting, as we say in Middle-earth. It was a terrible battle. The most dreadful of all Bilbo’s experiences, and the one which at the time he hated most — which is to say it was the one he was most proud of, and most fond of recalling long afterwards, although he was quite unimportant in it. First of all, this passage should quiet the critics who complain that there is too little of the hobbit in The Hobbit. Martin Freeman was amazing I would have liked to see more of him too, but Bilbo is “quite unimportant” at this stage and is simply not a major character through these final chapters (though his perspective remains essential). Secondly, it perfectly phrases my reflection on the action in this movie. It was terrible and I hated it. Yet, I have probably spent more time fondly talking about “wild were-worms”, peg-legged trolls, war bat taxis, helmetless head-butts, elk antlered decapitations, ice-capades with chains, scimitar arm attachments, mountable mountain goats, and pot-bellied war pigs than anything else about this film. I suppose this was inevitable even before the title was changed from Tolkien’s There and Back Again to Jackson’s The Battle of the Five Armies (here including two separate armies of Orcs rather than the “Goblins” and “Wild Wolves” of Tolkien). Your enjoyment of these scenes will be conditioned by how much you like action films, but even as someone who is partial to a such flicks, I have to register a couple complaints. The first is a problem that plagues all franchise films and even our beloved card game — power creep. The need to constantly outdo the power level of previous installments can eventually go too far and this entire trilogy has fallen as a horrible victim to that malady. The most obvious example is Legolas who was appropriately cool in Fellowship by jumping onto the shoulders of the cave troll and shooting two arrows into his head to end a well-matched battle. Now Legolas not only jumps onto a troll’s shoulders, but then embeds his sword in the troll’s brain and uses it as a joystick to control the direction of his fall, guiding him to knock down a stone tower of just the right height at just the right angle to make a bridge for himself across a chasm, which he will later be able to climb in slow motion while pushing up against falling bricks. If these films are meant to be watched in order as a six part saga, how is one to understand this? The climax of Fellowship features Boromir redeeming himself by valiantly defending the hobbits against about a dozen Uruk-hai. Now that we’ve heard two Dwarves on Ravenhill say they can easily handle “about a hundred” orcs in The Hobbit, do we have more or less respect for the Captain of Gondor’s sacrifice? Power creep has made many of the action scenes plain ridiculous and their subsequent emotional beats feel out of sync with the overall tone of the picture. Furthermore, the over-the-top style threatens the weight of key moments in the previous trilogy. Fortunately, I still think the greater realism of the Lord of the Rings work will prevail in posterity as the Hobbit films recede. 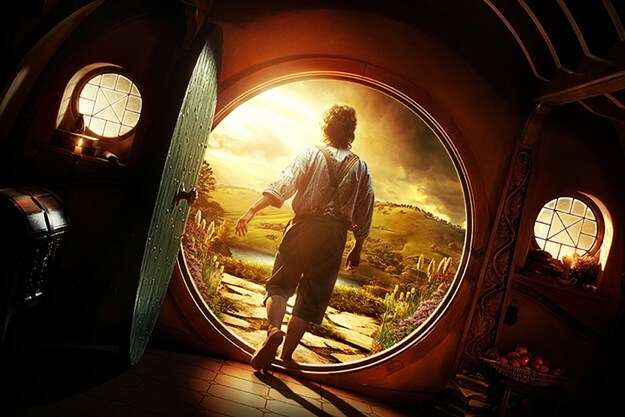 While the effects extravaganza does not trump story and performance to anywhere near the degree of ignominy of the Star Wars prequels, it does ensure that the Hobbit trilogy will always occupy a secondary status in comparison to Lord of the Rings. The second problem is that despite Jackson’s comments about striving to keep the audience from “battle fatigue”, the proceedings are simply too epic for too long. If Return of the King was weakened by too many endings, then Battle of the Five Armies suffers from too many climaxes. Every character gets a boss battle and every boss battle has at least one too many rounds. What’s more, the boss battle from the book that I was most looking forward to is reduced to a five second cameo. I understand that Jackson needed to give his overpowered Legolas someone to kill, but how could he not make a big scene out of this episode from the novel? But even with the Eagles they were still outnumbered. In the last hour Beorn himself had appeared — no one knew how or from where. He came alone, and in bear’s shape; and he seemed to have grown almost to giant-size in his wrath. The roar of his voice was like drums and guns; and he tossed wolves and goblins from his path like straws and feathers. He fell upon their rear, and broke like a clap of thunder through the ring. The dwarves were making a stand still about their lords upon a low rounded hill. Then Beorn stooped and lifted Thorin, who had fallen pierced with spears, and bore him out of the fray. Swiftly he returned and his wrath was redoubled, so that nothing could withstand him, and no weapon seemed to bite upon him. He scattered the bodyguard, a pulled down Bolg himself and crushed him. First of all, the storytelling of the films would have been helped immensely by taking the chance to show the vulnerabilities of the Eagles in battle. Seeing Eagles felled by arrows or war bats would have gone a long way to answer questions about flying the Ring to Mordor. Secondly, a giant bear tossing orcs “like straws and feathers”. How could he resist? After the battle is all said and done, however, I must applaud Jackson for sticking the landing. Bilbo and Thorin’s final moment is poignantly done as is his farewell to the survivors of the Company. Bilbo’s line about “tea at four” was a return to Tolkien’s style after an hour of Jacksonian excess and it was most welcome. If anything, Jackson overcorrected in response to criticisms of Return of the King‘s ending and things felt rushed to conclusion. Most importantly, I wanted to see Thorin’s funeral and interment in the Lonely Mountain. Bard lays the Arkenstone upon his breast and Thranduil places Orcrist upon him where songs say that it “gleamed ever in the dark if foes approached” so that “the fortress of the dwarves could not be taken by surprise”. The final transition back into the frame narrative and events of The Fellowship of the Ring is also brilliantly done. Portraying Bilbo’s magic ring from The Hobbit as the One Ring to Rule Them All was always going to be the trickiest part of the adaptation (it is scenes with the Ring that Tolkien revised most for his second edition of The Hobbit) and Jackson and his team pulled it off in perfect form. By tweaking one of Gandalf’s final lines, they put Bilbo’s finding of the Ring back at the center of the story and used it to elicit the primary theme of the entire tale. ‘Then the prophecies of the old songs have turned out to be true, after a fashion!” said Bilbo. ‘Thank goodness!’ said Bilbo laughing, and handed him the tobacco-jar. Jackson’s team creatively changes Gandalf’s line about “mere luck” to segue into Gandalf’s knowledge of Bilbo’s magic ring. Like the “chance-meeting” in Bree, the finding of the Ring is, in fact, not a coincidence after all. There is a kind of divine providence that pervades Middle-earth, perhaps woven into its creation by Ilúvatar in his music before Time began. It is not a deterministic destiny, but rather a recurring theme of Hope that manifests itself at the darkest hour in all ages, finding agents who feel its stirrings and act accordingly in faith. It is Jackson’s preservation and presentation of this profound “aesthetic and philosophical” theme at the heart of his Middle-earth saga that ultimately makes me disagree with Christopher Tolkien’s condemnation of the films and accept these movies with such gratitude, no matter what I think of any particular adaptation choice. Yes, The Battle of the Five Armies is an “action movie for 15- to 25-year olds”. But far from making J.R.R. Tolkien “a monster” and devouring his work in “the absurdity of our time”, Peter Jackson has, against all odds, used the medium of the Hollywood blockbuster to introduce a new generation of fans to the rich “beauty and seriousness” of one of the greatest literary works of the 20th century. May our living card game, no matter its flaws, continue to do the same. Thank you for reading and, as always, happy questing! A wonderful review, sir! I had many problems with the trilogy in general, and especially with this movie. I wrote a particularly long rant about this movie on Dor Cuarthol, so I won’t repeat it here. However, I have a couple of problems with those worms. First of all, where in Tolkien’s work are they present? I have heard they are mentioned as worms of the East (or something along that lines of that), but very often Tolkien used “worm” as an equivalent to “dragon,” and there might have been a misinterpretation somewhere. Secondly: In the film, the worms burst up from the earth, slither back inside their hole, and the armies of orcs charge forth. What? Where were the armies – inside the worm? it just doesn’t make sense to me. Enough about the film, though – it did have its good moments. I love all the custom cards, they’re great! 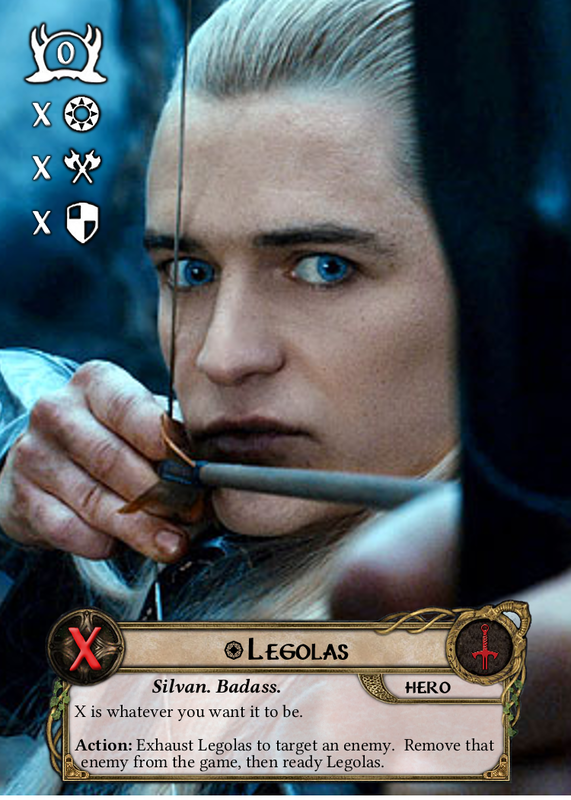 and Christopher S – where did you get the template for Legolas? I’d love to know. Thanks! Hey Gwaihir, thanks for the kind words! I put a lot of time into the review and do fear that I am now publishing too late to generate a lot of discussion and comments. Thanks for chiming in! I’ll definitely head over to Dor Cuarthol to see your take. You are right that Tolkien used “worm” to refer to dragons. Were-worms then would likely be some shape-shifting men (like Beorn) who take dragon rather than bear form, not the tunneling sandworms like Dune. Even these are unlikely to exist in Middle-earth though. Bilbo is citing his great-great-great-grand uncle in this scene and the “were-worms” are likely a bit of hobbit folklore, nothing more. Surely, Tolkien never imagined worms the like of which Jackson portrays, but the idea of the Orcs tunneling their ways through the mountains and the possibility of strange dark creatures at the edges of the world is not unsupported by the text! Thanks for the quick response about the were-worms. For the tunnels, I was referring more to the fact the worm would most likely be blocking the way for the armies to come through, as the tunnel it dug didn’t appear to be any wider than the worm itself. I just don’t understand how the army of orcs could fit in there! Maybe they dug straight down to get out the way. But then how did the Orcs avoid falling in to their hole? Maybe the worms turned sideways to clear the passage way? Who knows! Fantastic BoFA film review. I love it. Thank you sir, glad you enjoyed it! Amazing review and comes pretty close to my own general thoughts on the film. The central arc between Thorin and Bilbo and the moments of lore nerdery really made the trilogy for me. As for Galadriel taking on “evil form” in BoFA to get rid of Sauron, my guess is that they were trying to imply that Galadriel tapping into and unleashing her full power was dangerous and something that she avoided doing in order to avoid being corrupted by a desire for further power. In this way, they are directly connecting Galadriel’s power with lust for power (as displayed in Fellowship), which makes sense. Me personally, though, I would’ve preferred Galadriel to lay waste to Dol Guldur and drive out Sauron with a Luthien-style song. Thanks Ian, I enjoyed your year-in-review podcast and appreciate your anti-curmudgeony take on most things! Your interpretation of the Galadriel scene salvages something of it for me by linking it back to one of Tolkien’s main themes. Fighting power with power never achieves a final victory. It is having great power and being willing to lay it down that wins the day. As a demonstration of the dangers of using overwhelming power as a weapon then, I can accept the same effect used twice. That said, I agree that a Lúthien-style assault would have been cool to see. Sing it to the ground! I had the same interpetation as Ian. Initially both Gandalf and Saruman wanted to defeat Sauron. Gandalf chose to do so through offering wisdom to others while Saruman tried to do so through power. In the LotR film, Galadriel must choose between wisdom and power as well, and chooses to ‘diminish’. So I think this version of her (in both films) is more a case of power-Galadriel and not evil-Galadriel, showcasing just how powerfull Galadriel could be. I still disliked the whole scene though. 😛 Great article btw.! Like you I am a great fan of the lore but also believe changes can be improvements. I think the Dol Guldur plotline is a lot better than ‘and then Gandalf conveniently left’. 🙂 I just wanted Saruman and his ‘devices’ to play a bigger role in the final showdown. Overall I greatly enjoyed the trilogy though. Less Legolas and more Thorin and Co characterization would have done it for me. Cool review! I like it a lot and I´m a bit sad that nobody in my surrounding has the same knowledge about ME and the lore as I do, so there´s no real possibility to discuss the lore here, at home. There were many things I didn’t like. Most things have already been mentioned, like the actual battle and stuff, but I wanted to come back on several things. 2. Because we did get as much from Beorn as I posted above I will note in my Extended Edition (because I hope that we’ll see more of Beorn in there) that I found it ridiculous how he was portraited and the time. Why is he born by an Eagle? As is Radagast? Since when are Eagles so freely carrying people on their back? 3. I was really sad that PJ left so many questions unanswered really, as the book does tell us about the burial of Thorin, Daín becoming King Under The Mountain, the journey homewards etc. etc. He just missed something there imo. 5. Daín being CGI, A great loss and misser imo. 6. The sudden appearance of 4 War Rams…. 8. The diverse use of different Trolls, while as you said, the actual army should consist of Wolves and Orcs/Goblins. Not so to say that I found that a bad thing, I myself have always been intrueged by the diverse nature of Tolkiens world, nature not being a great word here, but sort of to say creatures, but why leave the major 4th or 5th (or in what way you are counting the armies) army , the army of the Wolves, out? 9. The battle between the White Council and the Nazgul and Sauron. Man… I almost had to cry. That specific battle is one of my favorite battles of all Tolkien lore that we really don’t know nothing of. I was really thrilled to see that in the movies, but the actual footage was horrible imo. How Elrond and Saruman fought with the Nazgul was really ugly imo and Gandalf and Galadriel whining a bit in the middle; it was quite the pathetic scene I thought. Also Galadriel somewhat using Nenya or what and turning black: terrible. Her lines though, the things she says are great. I actually managed to focus on the text instead of the horrible pictures, and saying Sauron is nameless etc. was a really touch on that. For being nameless and formless was indeed a great punishment not only for Sauron, but we find that throughout Tolkiens works, like in the Silmarrilion. 10. The battle tactics of the Forces of Good, mostly the Elves. Bringing their infantry into the enemy lines, so that they won´t be able to use their archery skills (for they are not the best marksmen of ME, no, not at all…) was quite stupid. The Dwarves moving from their higher ground was also mildly stupid, but their defensive wall was a cool thing. I thought that the entry of the Elves in the battle would have been by shooting a volley of arrows and depicting that by letting a lot of Orcs fall down death before they reach the Dwarves’ their defensive wall. But it had to be different I guess…. 11. Not quite sure about this, but I will explain through a question: How likely is it for an army of fullclad Orcs to travel from Gundabad to the Lonely Mountain in several hours? Geography had been tossed out the window it seems. Some positive things here: The army of Orcs not being stupid ramparts but really being signalled by Azog with signs and sounds was cool. I sometimes think that people exaggerate the stupidity of Saurons forces, especially with Orcs. Okay, Trolls have very little brains, so they are actually stupid. Orcs on the other hand don’t have to be stupid. I suppose certainly not the orcs from Dol Goldur as PJ has created several different races of Orcs (and Wargs) it seems. So that was cool I thought. The homecoming scene was greatly done as was the deathscene with Thorin and Bilbo. Thorin and company storming out of Erebor was one of the few scenes that gave me goosebumps. Had a few more scenes of those in the LOTR trilogy. I really laughed about the selfconcusion/suicide Troll that stormed at the wall. Some few things might show up later on, but for now I have said my say. 🙂 Would really like to read a comment from you upon my rant. I can tell by your sign-off that you have been listening to the Tolkien Professor’s Riddles in the Dark. As someone who is surrounded by a similar dearth of obsessive Tolkien fans, that podcast has been one of my favorites for in-depth discussions of the lore. I’m glad my review could give you a place to get some things off your chest. Here’s my reply, point by point. 1. Beorn was better handled in the DoS Extended Edition. I hope we’ll see more of him in action in the BotFA:EE. “Orcs [he] hates more.” Let’s see it! 3. The scene with the theme of Durin’s folk being played on the long horns while Bard and his family look on appears to be the beginning of a funeral scene. I have hope that this will be an Extended Edition addition. 4. Yes, the “war boar” was literally a domesticated pot-bellied pig. My audience laughed at the pig but as the Tolkien Professor suggested, it was the wrong kind of humor at that time. 5. I don’t know why Dáin was CGI. This was the same decision he made with Azog in the first picture at the 11th hour. I’ll await the commentary for an explanation. 6. Perhaps the “war rams” entrance was meant to make up for Beorn’s. “No one knew how or from where”. 7. I don’t know how Dwalin knew they were “mercenaries”. Perhaps it’s just a slur? It seems unlikely they were getting paid. Dwalin went to the place that the “war rams” came from. 8. I too was surprised not to see the Wolves. As for the weirder and weirder trolls, it still didn’t get as bizarre as Tolkien. Discussing the trolls in “Roast Mutton”, the narrator says, “I’m afraid trolls do behave like that, even those with only one head each”. We got the baby-faced troll, the peg-legged troll, the deformed arm troll, and the stone football helmet troll. But we didn’t get a two-headed troll! 9. I totally missed that Galadriel called Sauron “nameless”. That is going to help me appreciate the scene more, which is good because it’s the most disappointing one to me so far. 10. The Dwarves defensive wall was a highlight for me as well. Too bad the Elves ridiculously leapt over it! I wanted to see what happened when the Orcs ran into them. 12. If the elk didn’t die, how would Thranduil get his hero battle? Every character needs a hero battle! More climaxes! Thanks for reading my review and sharing your thoughts. Until next time, godspeed! Yes, my signing ofc was a little hint, as I can also see the Professors thougts into your review on several small occassions. I didn’t know about him until a friend, Thomas V., gave me a link. I had heard of the name before, but now I know it. Just started listening to his seminars about the Silmarillion and it seems I’ve got a lot to catch up upon. The Riddles in the Dark podcast most recent episodes are a bit hard to find, but so far everythinga been great. Santa also gave me Unfinished Tales, so my next Tolkien purchase will be that Atlas ypu’re talking about! Summarising, great review, gices us something to talk about and be safe there in Hong-Kong! I am always most curious about the personal situation of ‘our’ blog writers, because sometimes it explains their view on the world, as what the Professor sometimes does regarding thé Professor. I wonder how you ended up in China, but I don’t want to overstep my boundries. Sorry if I may have offended you. Ps. Where does the signoff ‘godspeed’ come from and refers to: ? Enjoy The Silmarillion Seminar and Unfinished Tales. My favorite story in Unfinished Tales is “Aldarion and Erendis: The Mariner’s Wife”. It is one of the only narratives actually set in Númenor during the Second Age. Besides filling in a rare and fascinating period of the lore, the title characters are among the most complex and interesting created by Tolkien. The Atlas by Karen Wynn Fonstad is extremely helpful for both The Silmarillion and Unfinished Tales. Enjoy! I’m not offended by your question, but I’m also not going to go into my whole life story. I will say that I happen to be an American high school teacher in Hong Kong and that I enjoy traveling and “adventures” over the Edge of the Wild (though mine are much more domesticated than Bilbo or Frodo’s). It is not at all dangerous here and it’s a great international city. If you’re curious about my view on the world, my articles on the Old Forest Road and The Eagles Are Coming! provide the most insight into what stirs my heart (in Tolkien’s writings and in real life). I think the sign-off “godspeed” is a medieval farewell, wishing someone “may God speed you” on your journey. As Tolkien’s primary interest was in the myths and literary style of the Middle Ages, it seems an appropriate sign-off for fans of his work! Well, thanks for the view into your live and your openness of heart. I am in no place to ask such thing, but I don’t ask with a purpose to do evil. Okay, thanks for the explanation. I figured it would be something like that! Thanks again and I hope you fare well! I could not have said it better myself. Even now, I am shaking my giant furry head, wondering why Jackson thought fit to almost entirely remove me from the movie. You need to get your agent on this. What a travesty! Maybe you and Christopher Lee can start a support group for each other. Beorn did get significantly more screen time in the Desolation of Smaug Extended Edition. Here’s hoping the same is true! This was an excellent review. You covered a lot of points that my friends and I have also discussed. I’m glad to see people remembering that Jackson DID allow Lord of the Rings to spread and be introduced to a whole new generation of readers and fans around the world (though at a cost the Tolkien estate is clearly not happy with). All in all though, again, great review! It was a fun read. Thanks for the kind words! 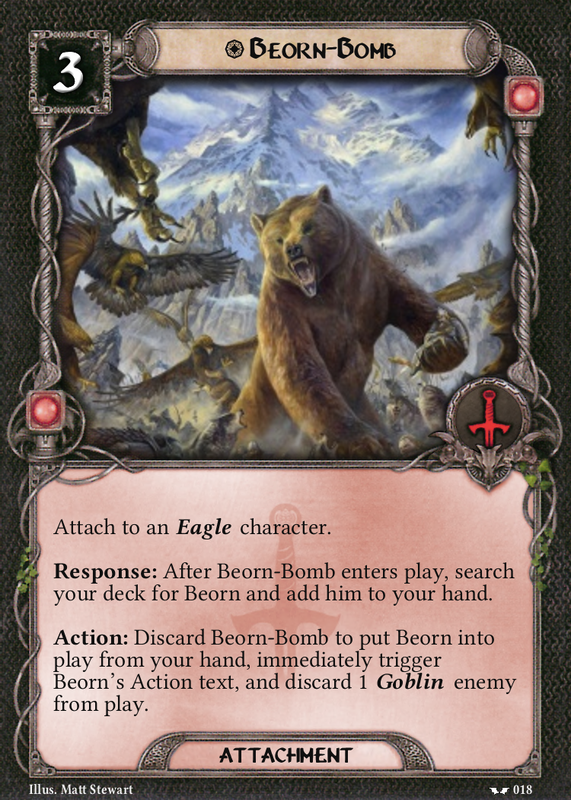 We don’t see Beorn wrecking orcs in the DoS:EE but he gets more background and exposition. The BoFA:EE will come out in the fall sometime so we cam hope for a little more of our favorite were-bear in that! By the way, I was so caught up in BOFA that it wasn’t until I read your review that I remembered the whole Radagast/Gandalf staff plotline. What the heck happened to that? In the commentary to Unexpected Journey (or maybe it was Desolation, I can’t remember), Peter and Phillipa made a big deal about the fact that the staff would come into play later in a big way. Maybe this will end up in extended edition? The Morgul Blade is also another thread that got built up heavy. As much as I enjoyed the movies, this does bother me. How did these big plotlines just get forgotten? When it was announced that The Hobbit was going to be adapted into three films, I think the last thing people expected was that they would have too much story and too many plotlines to fit into the run time, but indeed, it turned out that way. It should be noted that at 144 minutes, BoFA is 17 minutes shorter than DoS and 25 minutes shorter than AUJ. Apparently a lot of material was left on the cutting room floor. One can only wonder why, but I suspect studio pressure was involved. 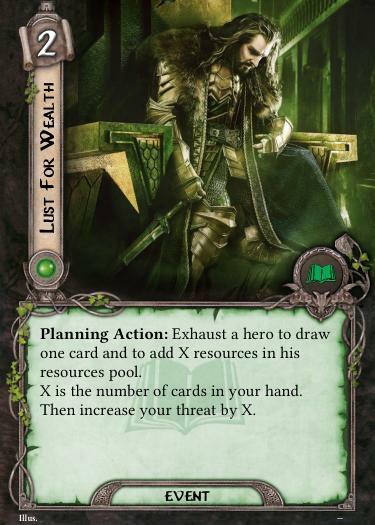 Also, why theatrical plotlines (Morgul blade, wizard’s staff) were dropped while Extended Edition plots (white gems) were included seems backwards to me. While I have hope that an Extended Edition will resolve them all, it was one of my points of disappointment with this theatrical version. Hopefully the “third time pays for all”, as Bilbo liked to say. Diedertk- could not have expressed my dislikes and likes of the movie better. Master of Lore- your reply could not have been better. Thanks for the review and amazing blog! Loved the cards the community sent in. Thanks for the kind words Penglodh; this has been great fun thanks to the community contributions and comments! Excellent review – any very thorough as always. I’d completely forgotten that the pseudo-Nauglamir only appeared in the extended edition. I definitely think that there were a lot of interesting threads from the wider Lore brought up in this film – just didn’t feel like they were tied together/ tied off very neatly. I’m now in the odd position of really wanting to see an extended edition (I think for aUJ and DoS, the Extended Editions were both improvements) at the same time as wanting to see a Director’s Cut, where they take out most of Alfrid and the love triangle (particularly the “I could have anything down my trousers” comment) and turn it back into two films as originally intended. Thanks for reading my review! I would love to see a “Director’s Cut” that trims out most of the Appendices and Jackson material and just has scenes from the novel and the relationship between Bilbo and Thorin. If I had the video editing skills (and the time), I’d try to make it myself! Alas, I also find myself wanting both a longer and a shorter version of the film. While some of the particular elements work on their own, I agree that as a whole, it doesn’t come together without a little bit more or a little bit less. Excellent, I’m glad it arrived! I hate to bother you, but I have not received the card. Was it delayed by Saruman? Do I need to send an eagle to rescue it? I’ve got reports from others who have received their cards and I put everything in the mail on the same day. That said, the White Wizard is very cunning. Hopefully it should be there any day now! Reblogged this on Thoughts and Things by Esther Ebene.